A recent Nielsen Company report finds that “despite a fragile economy, consumers continue to see alcoholic beverages as an affordable indulgence.” Online alcoholic beverage shopping is expected to continue to increase and will be especially evident in the wine sector. During tough economic times, consumers are often biased toward national or local products, further enhancing the prospects for domestic brand growth, whose prices have remained relatively stable through the year. The weak dollar helps tourism, especially in major cities. With the consumer mindset toward at home consumption and entertaining, are you catering to wine lovers who are pressed for time and looking for items to enjoy in the comfort of their homes? 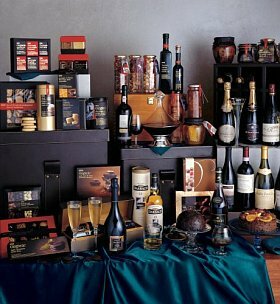 Do you have attractive displays of items and wines that deliver a high quality-price ratio? (Think Target’s popular and lucrative “cheap chic” trend.) A favorite example from here in the Finger Lakes is Ventosa Vineyards’ Tocaice Dessert Wine, one of the nicest dessert wines I’ve tasted, and at a very affordable $27.95 for 375 ml bottle, it is sure to fit most gift-giving budgets.